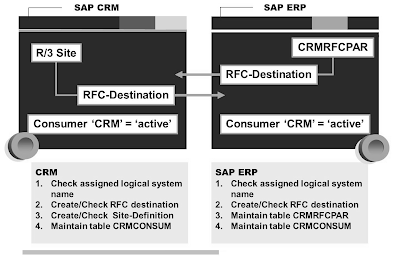 Summary:Sap CRM Function / Technical Middle Ware Complete Process free download ppt,pdf,doc. Dynamics CRM Specialist- 2013 Migration Spartanburg, SC $100K!! Summary:Dynamics CRM Specialist- 2013 Migration Spartanburg, SC $100K!! Non-profit Dynamics CRM End user based out of Spartanburg, SC is currently searching for a Dynamics CRM specialist to manage their CRM 2013 migration! This company has engaged with a Microsoft Gold Partner for the initial implementation and is working with a customized tool, specifically used for the non-profit industry. This xRM tool will require a CRM professional to manage and customize their CRM platform. The company is specifically focused on Work-life balance: CRM professionals have the opportunity to work from home 2 days/week and flexible hours. This client is willing to consider candidates with salary requirements up to $100k and are also offering 10% bonus as well! If you are interested please contact me today! The client has already begun the interview process and is in the second round of interviews with some very strong Dynamics CRM professionals. If you are interested in applying to this position please apply to the AD or send your resume directly to John at j.ponessa@nigelfrank.com or call at 212-731-8282. Senior Dynamics CRM DEVELOPER, Chicago, $80-100/hour. A company in Chicago is implementing Dynamics CRM 2013 on premise. They are currently using a legacy system, and have a lot of data that needs to be migrated. Local candidates are preferred. Interviews are taking place and they're looking to begin the project as soon as possible, and want the team selected preferable before Monday. There will be some remote flexibility but initially developers are expected to be onsite.